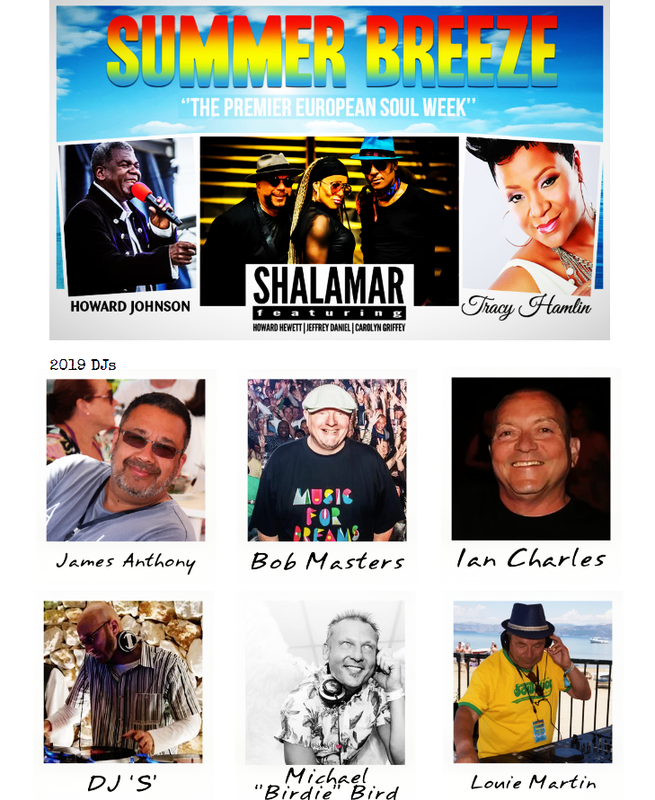 Dj "S" @ Summer Breeze Soul Week 2019 | Dj "S"
Catch me on Summer Breeze 2019! Friday 7th & Saturday 8th of June! 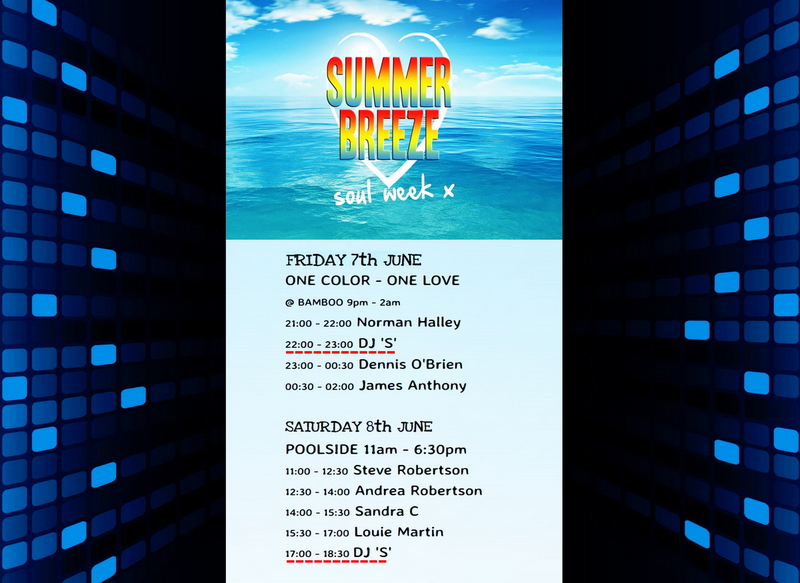 Fri 7th June 22:00 - 23:00 "One Color - One Love" @ Bamboo! Sat 8th June 17:00 - 18:30 Poolside! I'm Back With My Music!